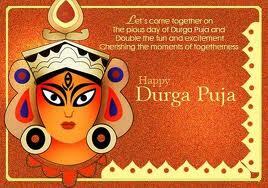 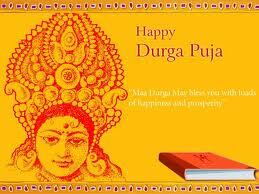 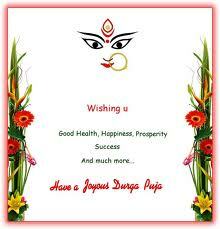 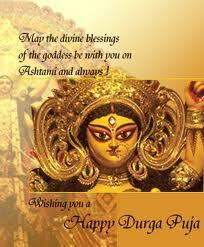 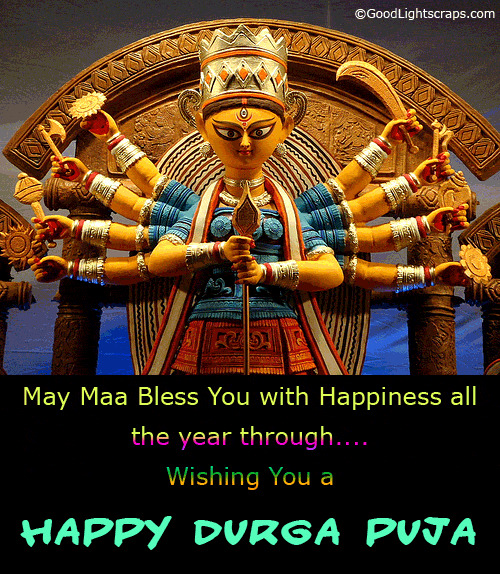 Durga puja is regarded as the most important festival of West Bengal. 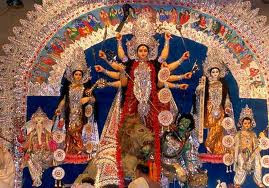 The city of Kolkata dresses up in a new look for the five days of the festival. 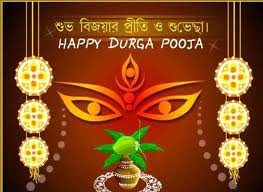 The celebration lasts for five days starting from Maha Shashti (the sixth day) and ends with Bijoya dashami (the tenth day). 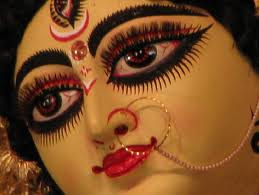 The first day of the celebration starts with Bodhon on Maha-Shashti, which is like welcoming Goddess Durga and ends with immersing the idols in the nearby rivers, lakes and seas on the evening of Dashami. 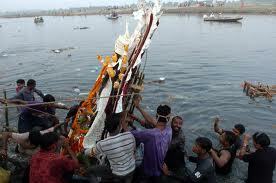 However, it is considered to immerse the idols in the sacred waters of the River Ganges. 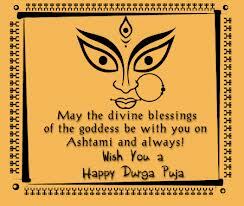 According to mythology Goddess Durga descends to the Earth on Shashthi and returns to her abode on Dashmi. 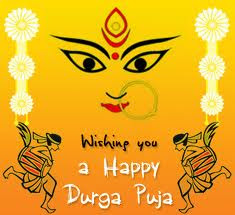 The clear blue sky, the cool pleasant air, the beautiful fragrance of Shiuli (a type of flower of this season), the lush green fields and chanting of mantras and shlokas of Goddess Shakti, all sum up together to create the perfect ambience for the celebration of Durga Puja, the greatest festival of the Bengalis. 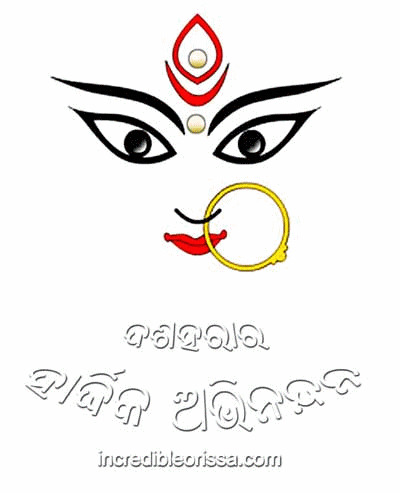 The preparations for the festival are done way in advance as beautiful pandals are build in different areas of the city these are mainly community pujas, which are mainly financed by the local people or sponsorship from big corporate houses. 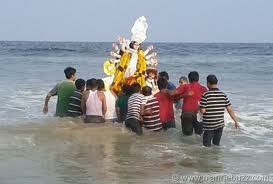 Even the idol making also starts way in advance. 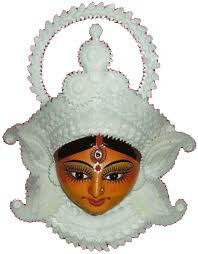 Clay idols of Bengal are famous worldwide for the traditional way in which they are made. 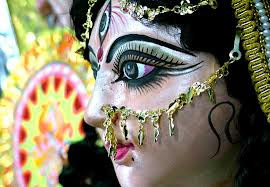 The people of Bengal start preparing for the festival from Mahalaya (the starting of the festive season) they decorate homes, buy gifts for fiends and relatives and new clothes for themselves and relatives for the festival. 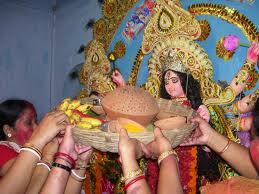 The shopping plaza and markets are totally packed up from one month before the festival. 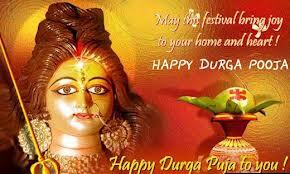 This festival involves the worship of Shakti i.e Goddess Durga. 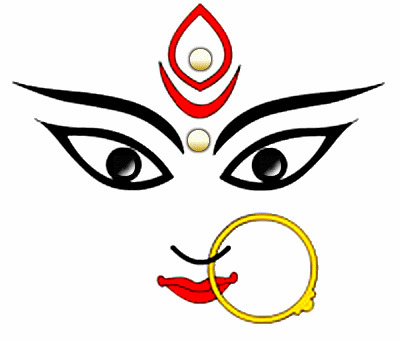 The legend Shakti lays back to the story of Mahisasur, a powerful daemon also known as the Buffalo Daemon. 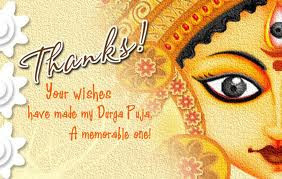 Through years of intense praying and worship he got boon from Lord Brahma that no power could him making him invincible. But once the divine powers were bestowed upon him, he started ravaging the whole world and killing people and eventually wanted to uproot the Gods too. 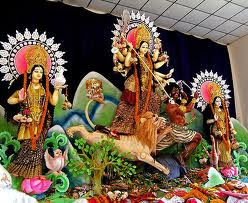 The Gods, in dismay, combined their powers to create a beautiful maiden, and each placed his or her most potent weapon in one of her ten hands riding a lion. 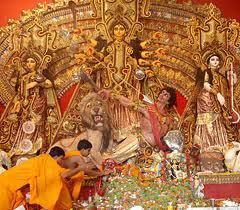 Durga killed Mahisasur and won the heaven back for the Gods. 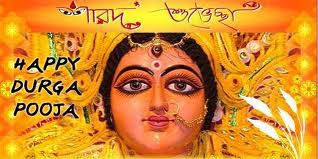 Her return in each year in the Bengali month of Aswin (September-October) commemorates Rama's invocation of the goddess Durga before he went into battle with Ravana. There are endless aspects of Durga described in the Puranas and Agamas and the iconography is consequently very varied. 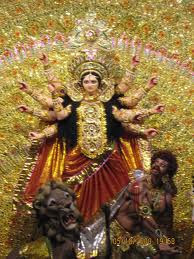 She is usually pictured as having ten arms holding Sword, Conch, Discus, Rosary, Bell, Winecup, Shielf, Bow, Arrow, and Spear. 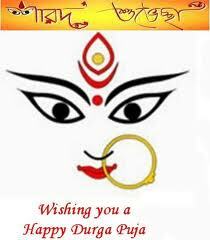 She is most often shown riding a lion from which comes Her august name, Simhavahini, "She who stands astride the king of beasts". 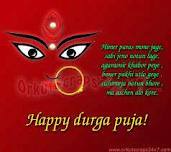 She is gorgeously dressed in royal red cloth and has several ornaments decorating Her personage. 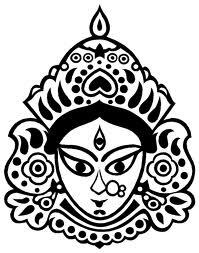 Her hair is dressed up in a crown (karandamukuta) which then flows out in long luxuriant tresses that are darkly luminous and soothing to the eye. 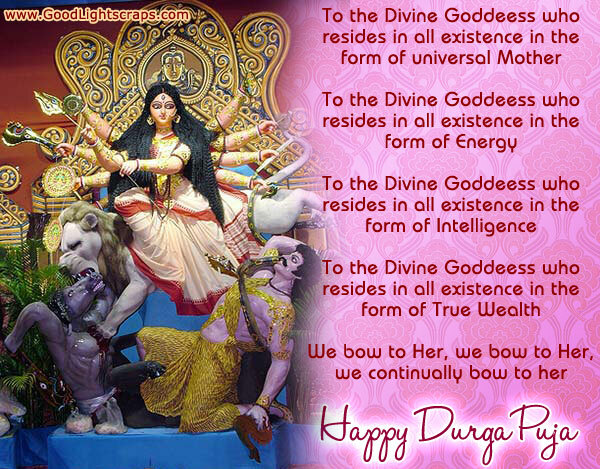 The various tools reflects the eminent supremacy that helps in controling the universe and obey Her will.